Dr. Robert Cudia and his warm, welcoming team offer a range of dental services including general, restorative and cosmetic. With a central location, our office is easily accessible to make it simple for you to get the dental care you need. Contact us today to book your appointment! You deserve to show off a healthy, gorgeous smile. At Trust Dental Group, Downtown Atlanta Dentist Dr. Robert Cudia and our knowledgeable, friendly team are ready to help you achieve it. Whether you need routine dentistry, would like to have cosmetic work completed or require restoration, we offer a variety of services to suit your needs. Our relaxed, inviting atmosphere will put you at ease the moment you arrive. If you’ve felt nervous going to the dentist before, nitrous oxide is available to you. 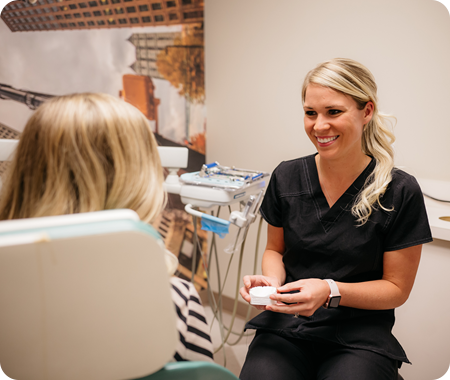 We want to make sure you feel in control and know exactly what to expect at every appointment so you can feel confident and empowered. 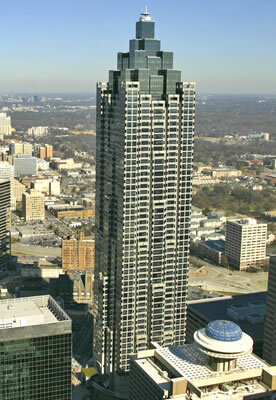 With easy 75/85 Interstate access, we’re centrally located in the beautiful SunTrust Plaza building, close to MARTA transit stations. Validated parking is available in the SunTrust Garden covered parking garage and there is secure access to the Peachtree Center MARTA station. When you become a patient at our office, you can rest assured you’ll receive expert care. If you require more than a routine checkup, we can help you plan out your treatment. Once any issues are addressed, we’ll help you maintain the health of your teeth and gums. You’ll gain the knowledge you need to take an active role in your oral health and maintain it at the highest level possible. Each step of the way, you’ll be fully informed about our findings and recommendations thanks to advanced technology such as digital X-rays and images taken with an intraoral camera. We accept insurance coverage, and payment plans are available. Emergency cases are welcome to schedule with Dentist Downtown Atlanta Dr. Cudia. Contact us today to get started! Whether you need routine dentistry, would like to have cosmetic work completed or require restoration, we offer a variety of services to suit your needs. Trust Dental Group staff is welcoming and friendly every time we come, which is greatly appreciated as a mother of 3 small children. Dr. Cudia is professional and personable which makes going to the dentist a much easier and more enjoyable experience! I have never had to wait long to be seen as they are cognizant of their patients time. They are accommodating to ensure patients can be seen in a timely manner and they all seem to genuinely enjoy what they do. I highly recommend this practice to anyone in need of a good dentist! Dr. Cudia goes out of his way to explain every procedure in advance and does amazing work. He and the entire staff always greet me with big smiles and I’ve never had better cleanings anywhere else. Highly recommend Dr. Cudia and Trust Dental Associates!! Great staff, location and service. Even though my insurance is out of network, the process was still fairly seamless. We are open Monday – Thursday between 7:00am – 4:00pm.